A conventional electronic development lab requires relatively expensive instrumentation, and access to such facilities can sometimes be difficult for students or hobbyists outside their school or work schedule. 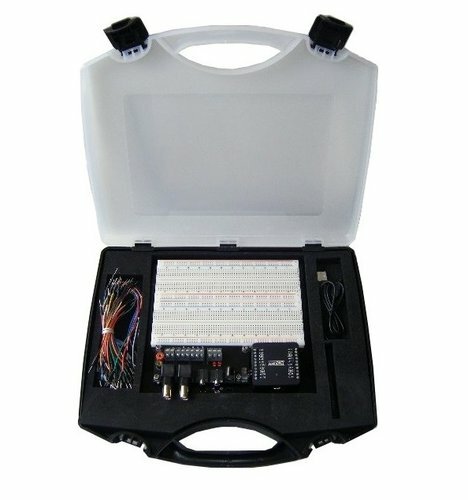 OpenDAQ's labKit is intended to become a comprehensive platform that enables students, and electronics amateurs in general, to have access to a complete, flexible and low cost electronic laboratory, for any personal use. 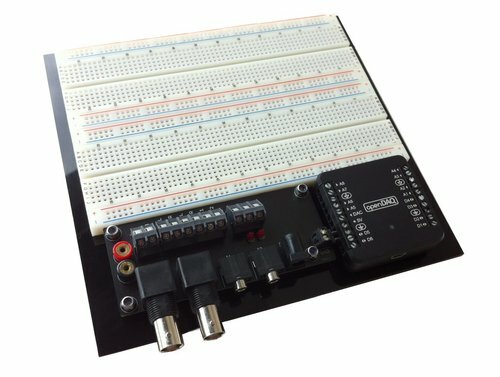 This kit provides all you need to set up your electronic circuits. It can be used as a fully portable facility, as it only needs a PC or laptop with USB connection, or even it can work powered from a 9V battery! 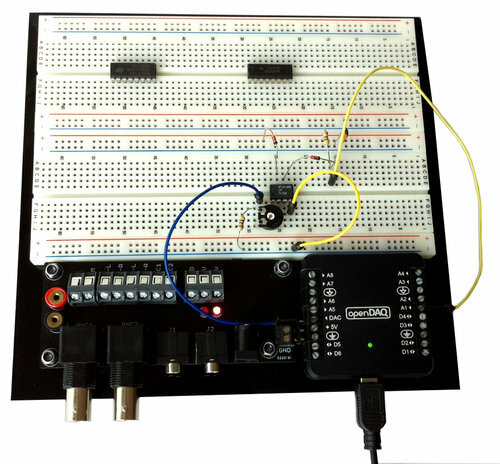 Electronic breadboard with pre-connected power lines (GND and +5V). 2 stereo jack connectors, for connecting with any computer sound-card, and using virtual instrumentation software. 1 openDAQ-[N], with several analog and digital I/Os available. All the elements in the kit share the same ground reference, thus simplifying very much the wiring of the circuits. 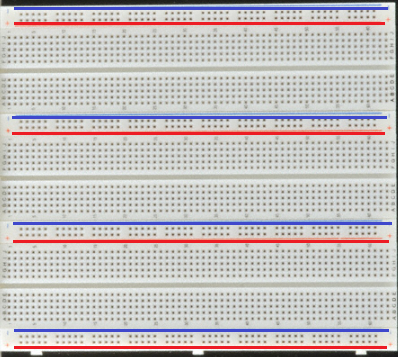 Simplifies Wiring: GND and +5V lines are already connected in the breadboard, and sharing the same reference with the connectors and the openDAQ. Portable: You only need a laptop or even just a 9V battery to run experiments anywhere you are. Versatile: Multiple possibilities to power the circuit, and a wide range of connectors for attaching any external instrumentation systems. Compact: The entire kit, including accessories, can be carried with you in a bag of a very reduced size. 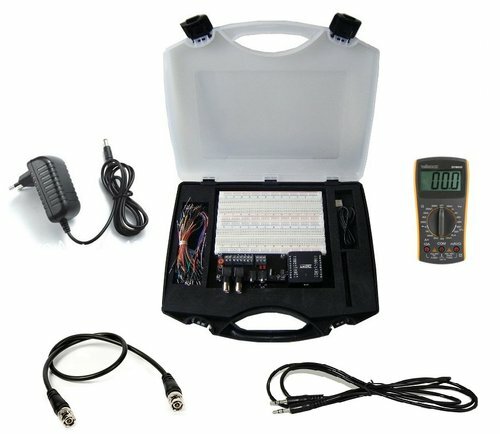 Low-cost: For a very low price, you can have a complete kit that enables conducting a wide range of electronic experiments. All these kit versions include a openDAQ [N] unit with the kit. If you want to purchase the kit without the DAQ device, please contact us. • Connections Board: BNC and stereo jack connectors, multimeter sockets, and power jack input.